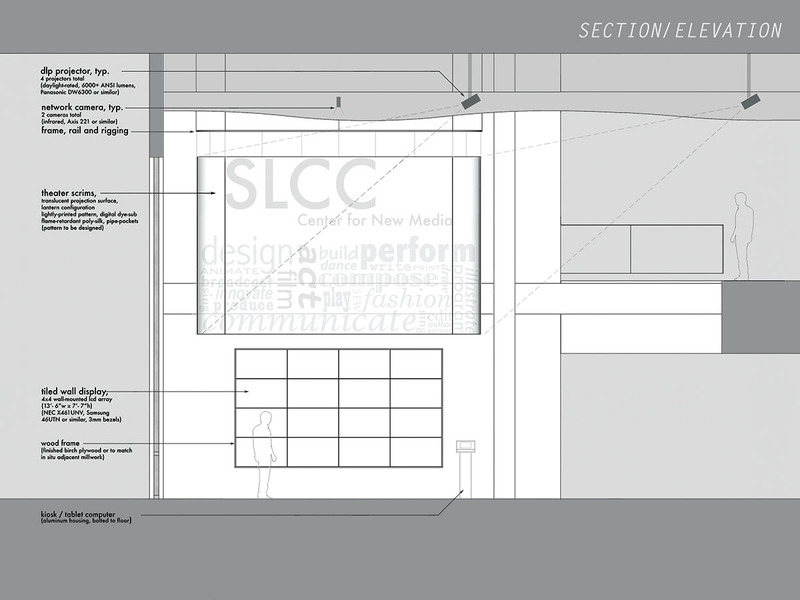 Center for New Media, Salt Lake Community College. 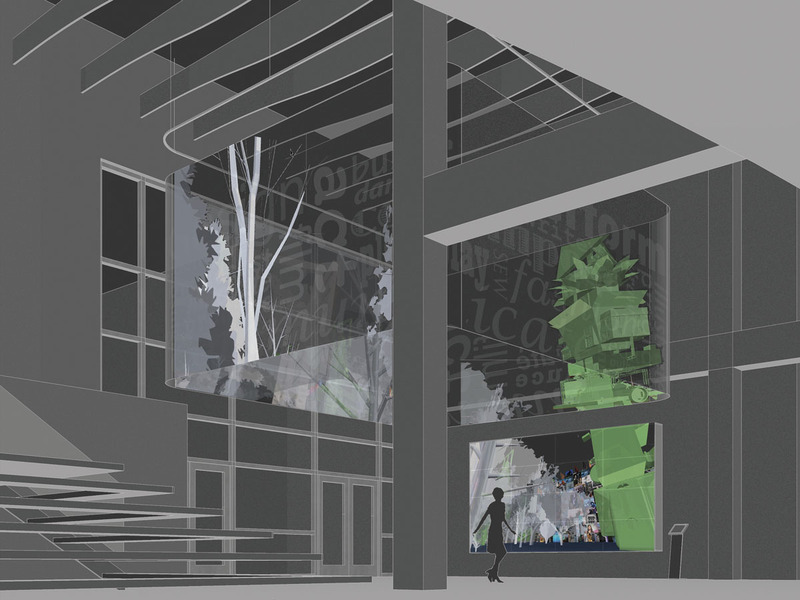 proposal for public art commission, shortlisted finalist and runner-up in nationwide RFP, a collaboration with Bill Seaman and Steve Feller. 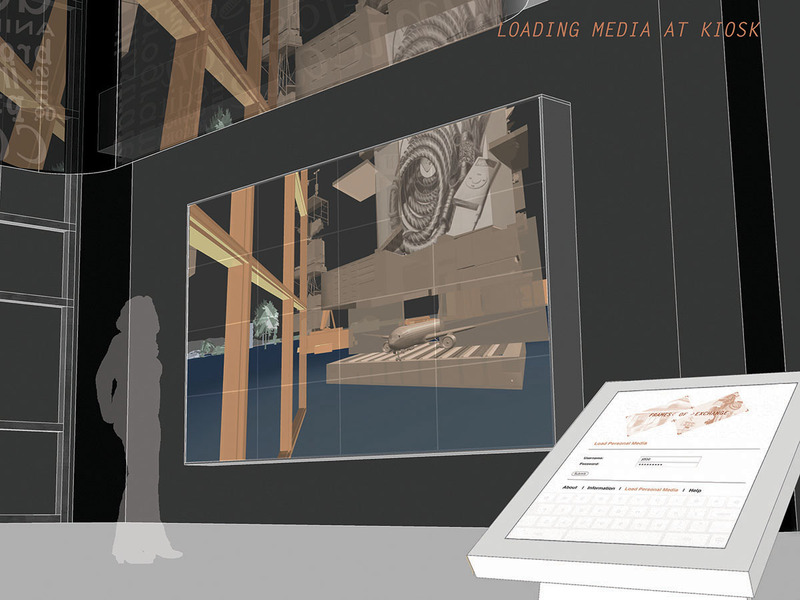 Our team proposed displaying the media output from a custom-build software application on to a large-scale tiled-display and series of theatrical scrims located in the main atrium/lobby space. 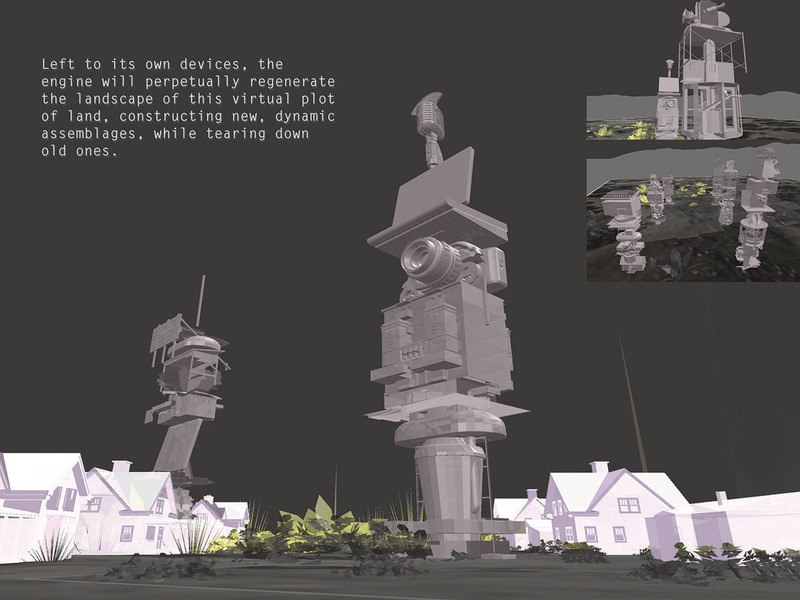 The software, a real-time generative engine, could take large collections of digital media, and rearrange them dynamically. 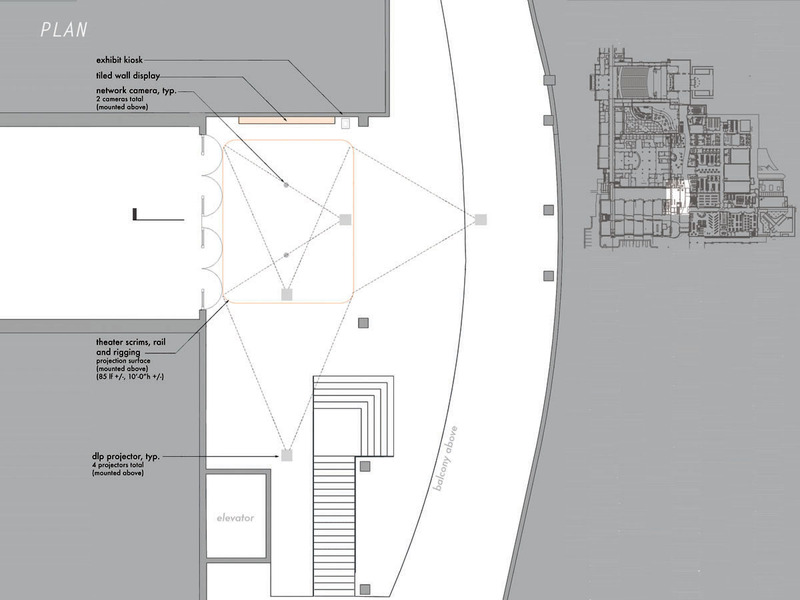 We use a building grammar in the construction of each new “site” – which includes a library of typological configurations and site and object behaviors. 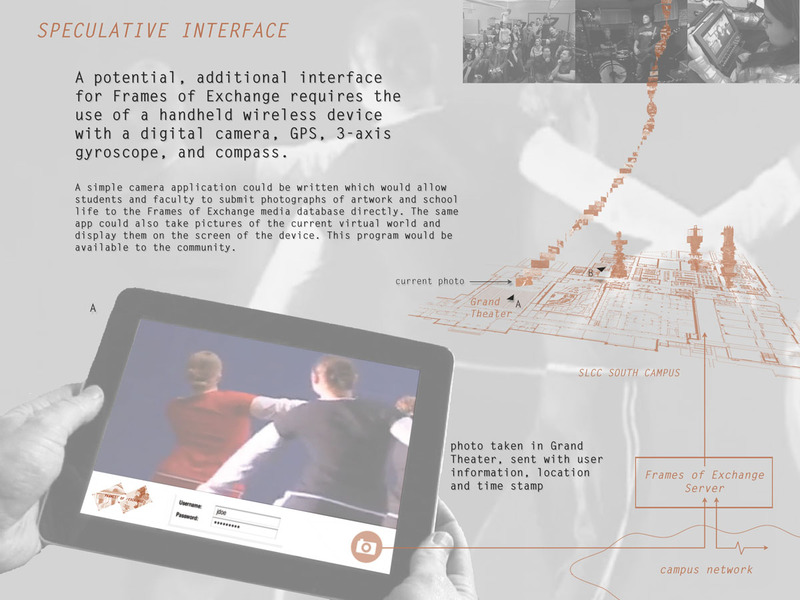 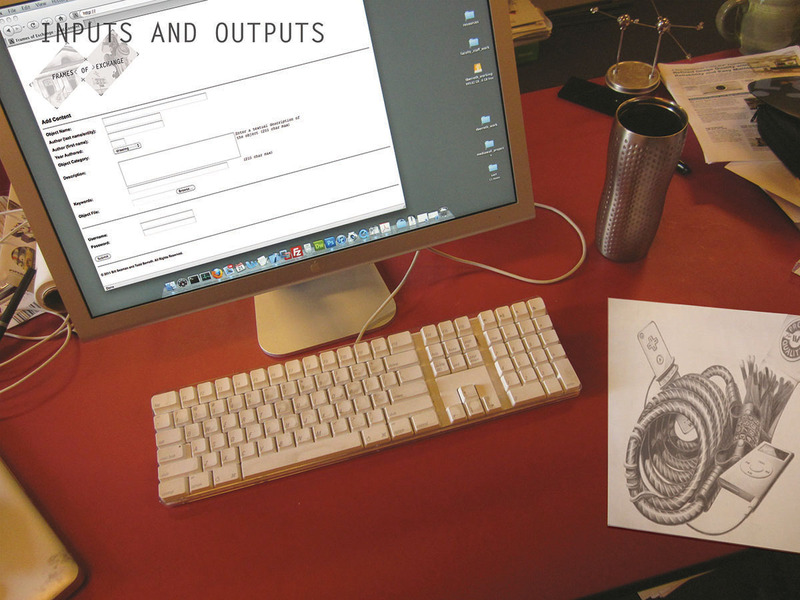 The software creates media assemblages and object communities, which exist in a virtual space co-existent with the physical space of the school. 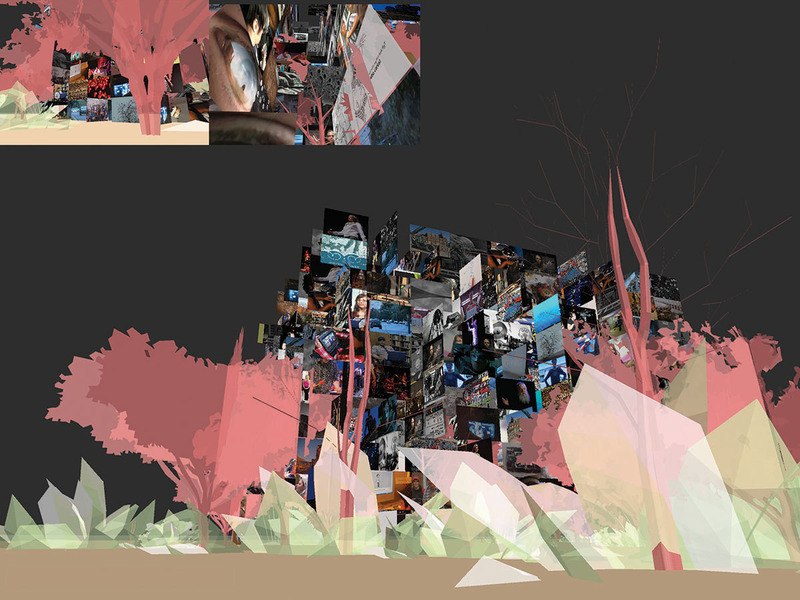 The viewer is able to create and explore in this generated world, and then record traces of their activities, which are preserved in the landscape, send across the internet, or re-feed into the system. 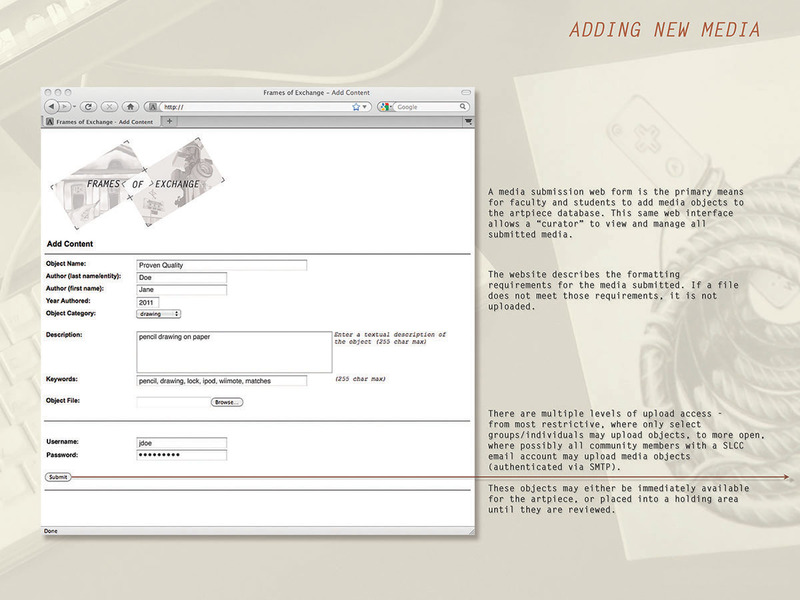 Importantly, faculty and students can upload their own media into the piece. 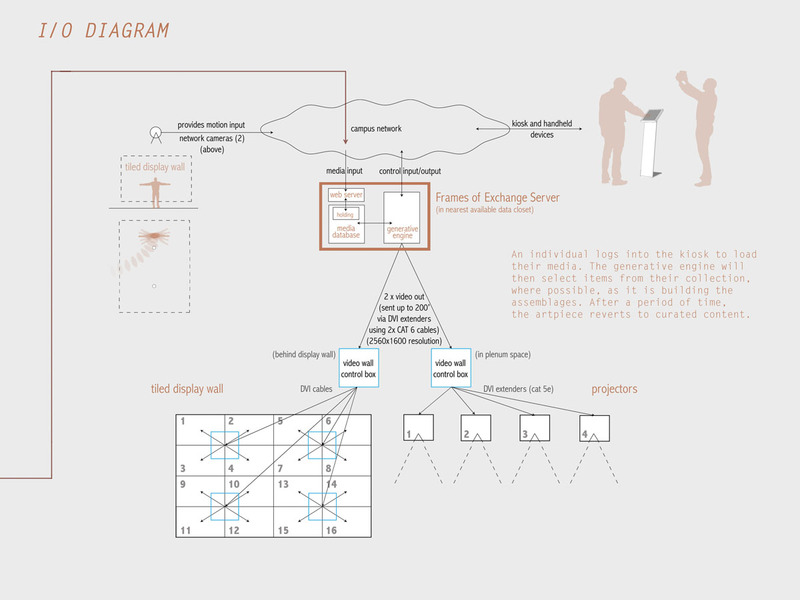 They then log in to a local kiosk to activate their own media library, which feeds the generative engine with their own work. 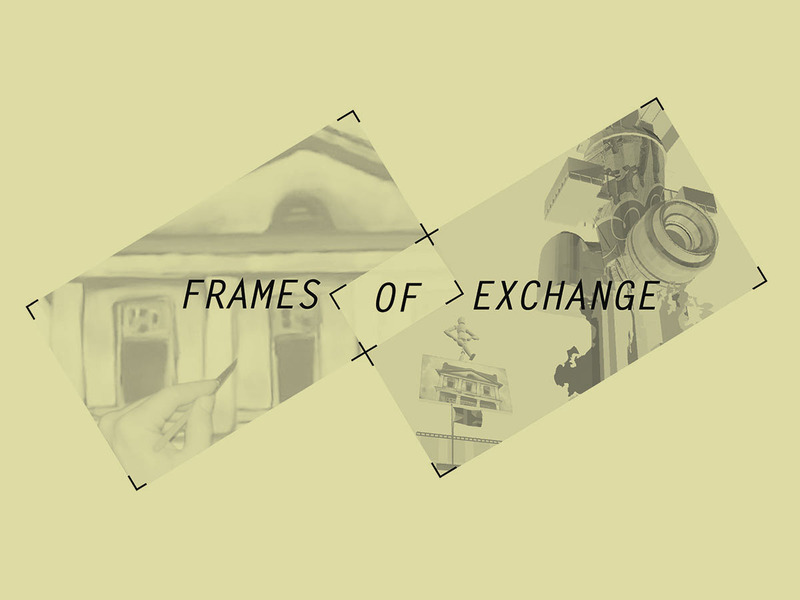 Such behaviors imply a personal ownership of the artwork, and encourage an emergent community aesthetic and dialogue, which was congruent with the mission of the School of New Media. 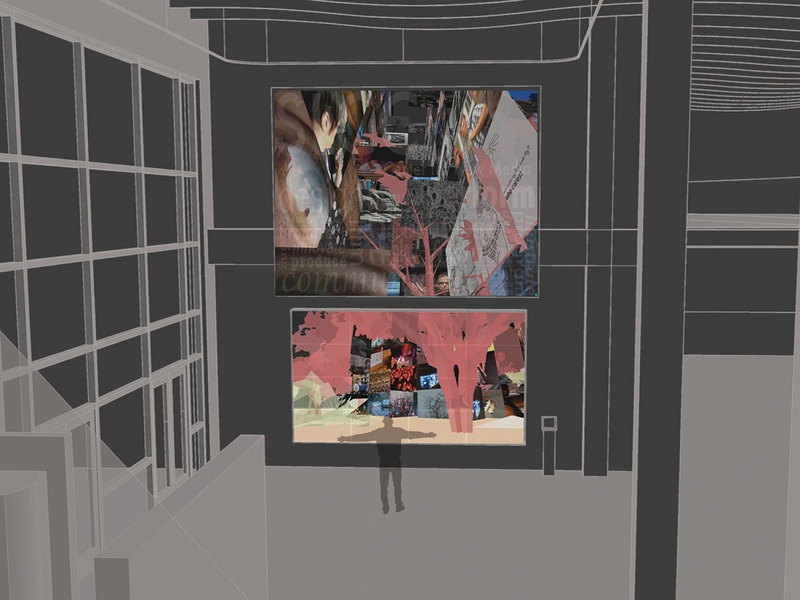 The same engine could distribute other visual output to displays situated throughout the campus. 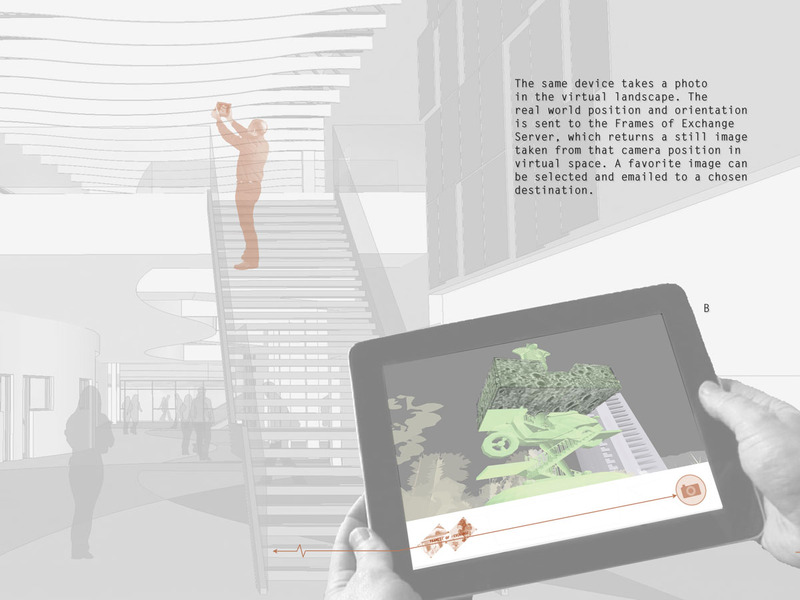 The installation provided several novel modes for interacting with the art piece, including navigation of the virtual space via a viewer’s body movement, and additional media input/output and augmented reality experiences via a hand-held wireless devices.